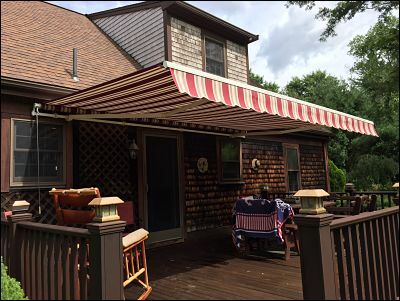 A great deck needs some shade, a retractable awning cover does just the trick. 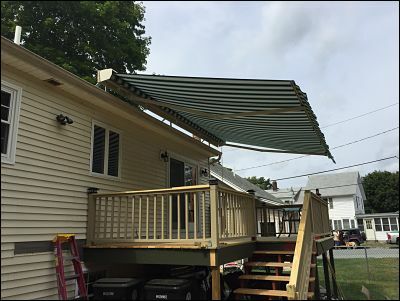 This deck needed some relief from the sun and our customer was so pleased with the retractable awning cover that he decided to add window awnings to to provide shade inside as well as out. These canvas window awnings will lower indoor temperatures up to 15 degrees just by keeping out the suns harsh rays. 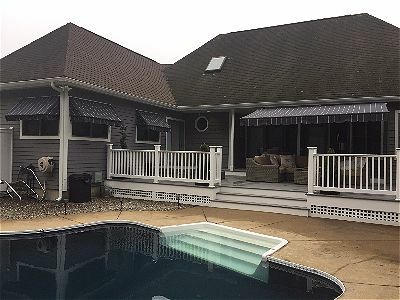 Another day, another deck that will stay cool all summer with a retractable awning. Another retractable awning, this one is mounted to the roof to give proper pitch.